However, procurement is not always a straight forward process especially if you are required to follow the EU Procurement directives. These directives will be required if you are spending in excess of £164,176 (this value covers the entire life of a contract – not just a single years’ worth of spend). Establish the correct procurement procedure to be followed, you may need external support for this. Draft Official Journal of the European Union (OJEU) or other advertisement, after Brexit this will continue to be the case until new legislation is passed and to-date there is no schedule on this. You will need to draft procurement / contract documentation e.g. Pre-qualification Questionnaire (PQQ), Issue Invitation to Tender (ITT), draft terms and conditions of any final contract to all interested suppliers. 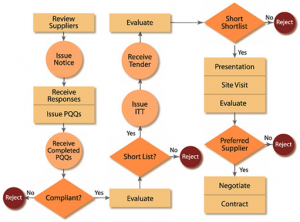 Manage and evaluate supplier’s tenders as well as feeding back to all unsuccessful tenderers. Comply with your institution’s financial regulations or, in the case of major purchases, comply with EU regulations, after Brexit this will continue to be the case until new legislation is passed. Procurement can be bureaucratic and time consuming and it is advisable to seek advice and support from a procurement specialist who can ensure that you select the most appropriate route. If you choose a pre-procured service, such as Amazon Web Services, Google Apps for Education or Microsoft 365, you can be confident that we have been through a rigorous procurement process and contracted the very best terms and conditions for the sector. NOT have to justify your approach to senior management; Jisc is a trusted procurement partner. Benefit from the sectors buying power (economies of scale). Jisc is more than likely to achieve better value for money than procuring the same services on your own. Have in place a robust audit trail of procuring services in line with legislation and gaining value for money. Rather than regretting the day you ever started a complex procurement procedure with anonymous multinational companies, if you choose pre-procured services you can rapidly be signed up and benefitting from improved efficiency and value for money. Can Jisc help if you do choose to do a procurement? If you do need to do a procurement yourself we have a useful guide to help you with the journey.